At Dentistry For Children, we utilize dental equipment that helps us to provide dental care for your child. One specific piece of equipment that we use is an automatic computer application of dental injections, which allows us to utilize dental injections to reduce discomfort and anxiety. We also work with scented nitrous oxide nose pieces from Accutron for comfortable sedation. We offer the following scented nasal masks: Groovy Grape, Sassy Strawberry, Birthday Bubble Gum, and Outlaw Orange. You can find more information by clicking here. To learn more about our office and equipment, please contact us. To make our patients more comfortable, our office now offers The Wand®. This great innovation is perfect for any patient with an injection phobia! For more information, please click here. 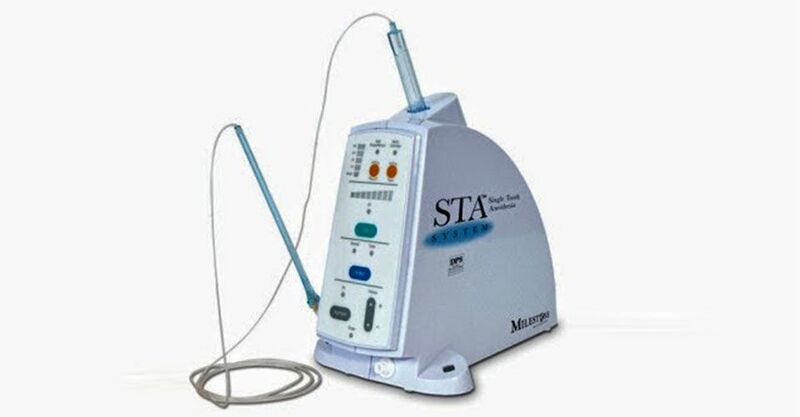 Nitrous oxide sedation is a very safe, economical and efficient treatment method. Nitrous oxide sedation is an extension of the services on offer at your practice. Nitrous oxide sedation fills the gaps between local and general anaesthesia. For those children who require extensive dental work, who are extremely uncooperative, fearful and anxious, general anaesthesia presents an option to have treatment done in one sitting. General anaesthesia may also be appropriate for children who require significant surgical procedures or children with special needs. The anaesthesia procedure is performed by Dr. Jonathon Lok, a licensed dental anaesthetist. Smartguards® will create a custom mouth guard to your design wishes (pick your colour and logo). Pressure laminate guards are layered under pressure to give you an excellent overall protection and fit. You will be able to talk, breathe and concentrate on your sport without having to worry about your guard falling out. This type of mouth guard is the type of guard that is worn by the pros. These guards are going to fit tighter and last longer. For more information, please click here.